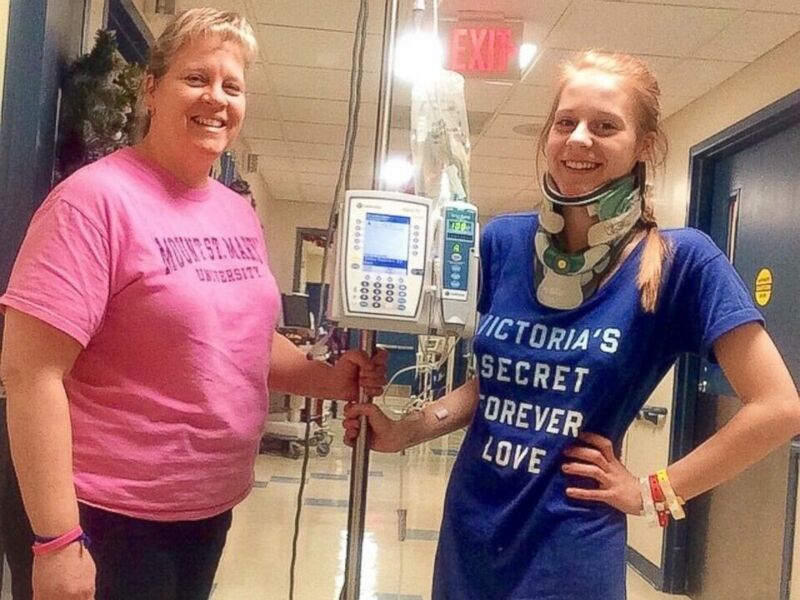 For the first time in more than two years, beauty queen Victoria Graham didn't have to spend her birthday in the hospital. Since 2014, Graham, who has Ehlers-Danlos Syndrome, said she has undergone 10 surgeries. EDS is a rare genetic disorder that can weaken blood vessels, cause extreme elasticity of the skin and make joints so flexible that they are unstable and prone to dislocation. Graham, who turned 23 on Tuesday, said the condition has been "always an adventure" since she was first diagnosed 10 years ago. "I was an ex-athlete. I was living my dream. I was going to school and playing, at that point, two different sports: soccer and lacrosse," Graham told the BBC in an interview, "and suddenly I was having brain and spinal surgeries and I had to leave." Graham attended Eastern University in Pennsylvania. At one point, she said she had to wear a neck brace to hold her brain steady. Her spine has also been fused. The surgeries left her with a 25-inch scar down her back. But Graham wanted to cross being in a beauty pageant off her bucket list, so she decided to compete for the title of Miss Frostburg 2017. Although she knew her scars would be seen by everyone when she wore backless gowns, she said other competitors considered her "resilient." "When I'm on stage, I'm not the handicapped girl. I'm not the disabled girl. I'm not the sick girl," Graham said. "It's almost like I'm free." She said entering the contest wasn't about winning, but she took home the title anyway. EDS has made some parts of her life unpredictable: Graham said she did not know whether she would need more surgeries in the future. For now, she said she takes dozens of medications each day to help her stay strong and healthy. And she's using her newfound fame to help raise awareness: visiting children in local hospitals and sharing her story. She also started a support group for people with EDS called the Zebra Network. In June, she will compete for the title of Miss Maryland. Miss Frostburg 2017 Victoria Graham, 23, of Manchester, Maryland, is using her platform to bring attention to a rare medical condition called Ehlers-Danlos syndrome (EDS). She was diagnosed with it when she was a child.